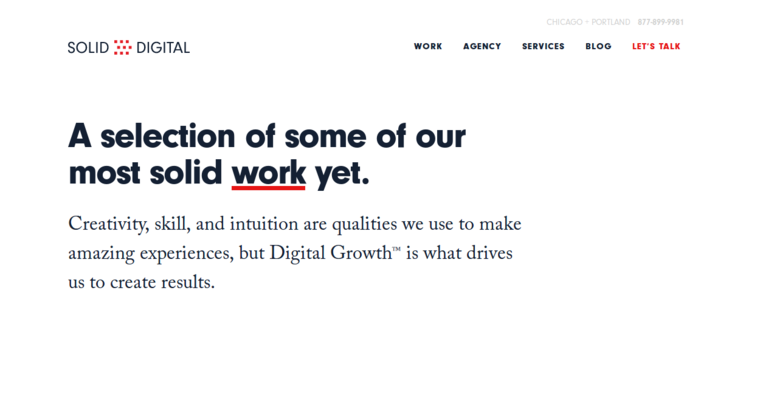 Solid Digital is a design firm with offices located in Chicago and Portland. The agency provides a wide range of digital services to its clients. Some of these services include digital marketing, UX design, strategic planning, web design, app design and more. 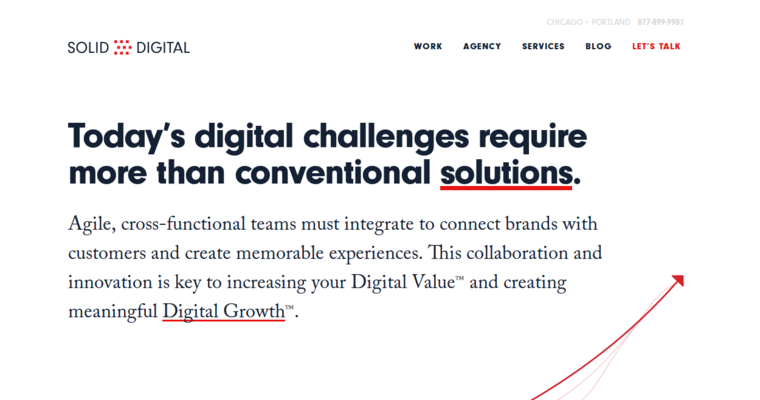 The agency also specializes in a Digital Growth program where strategy, innovation and measurement meet to determine a brand's digital value and increase that value. Solid Digital has worked with many clients across different industries. 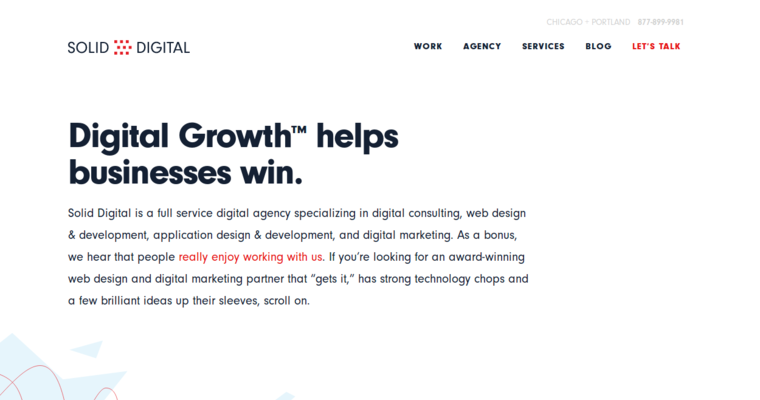 Some of the agency's most notable clients include Edlong, Owlting, Redbox, Pine Tree, Metals Service Center Institute, The Observer (Notre Dame), Best Buy, Selective Search and many more.